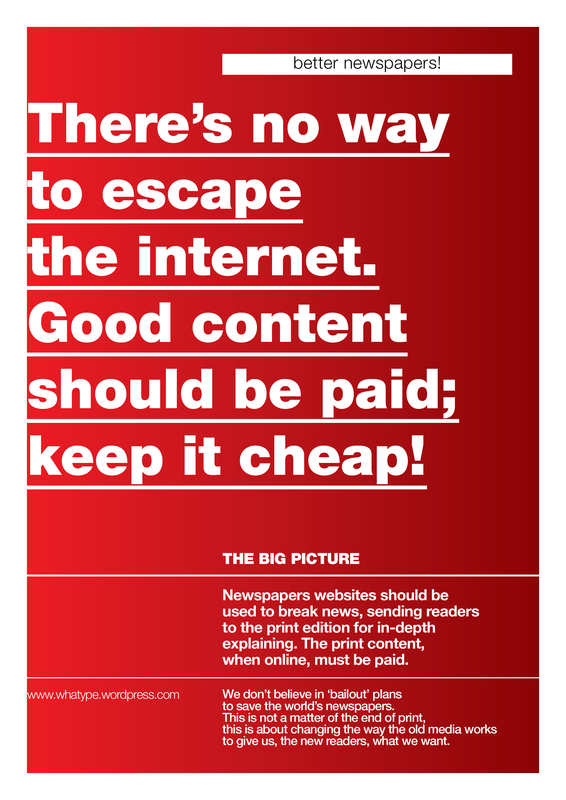 Gearing up here at the loud paper headquarters to move A Few Zines northward and a host panel ready to take on publishing and practice, it seems appropriate, if not imperative to post What Type's posters protesting the end of print. 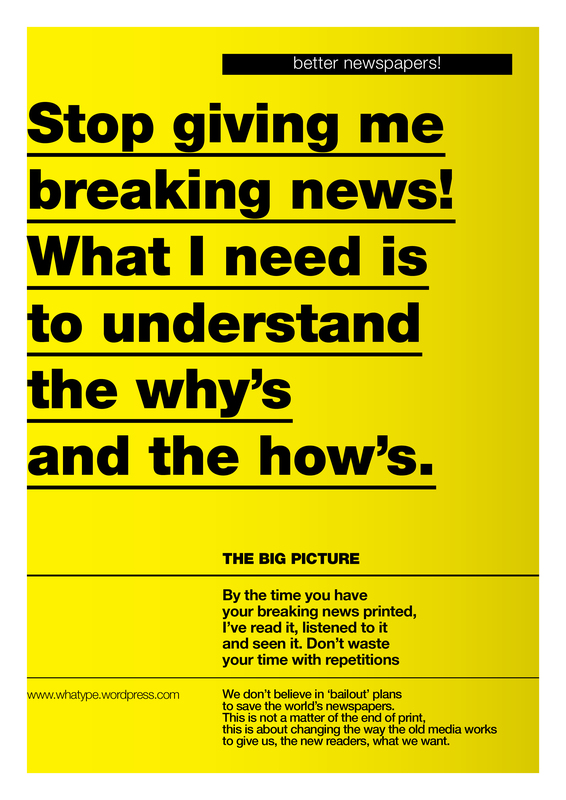 Pedro Monteiro challenges What Type readers to be participants and print out the posters and place them where the message can be read loud and clear: a real-world means to support the newspaper industry. Sure the move is a bit idealistic, but I'd be a grade-A cynic not to want it to work. By supporting your newspaper you will fight for your own voice. 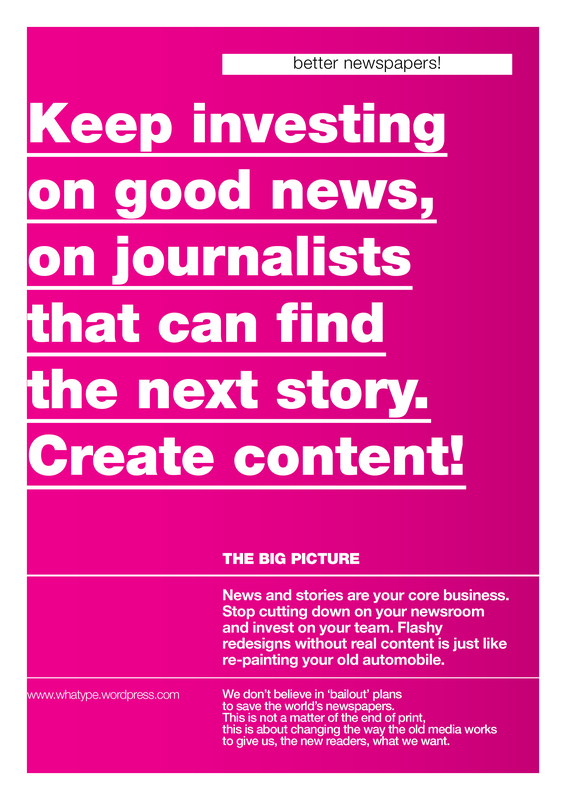 By telling what you want and expect from a newspaper, one that’s worth both your money and your time, you will be fighting for a better world. 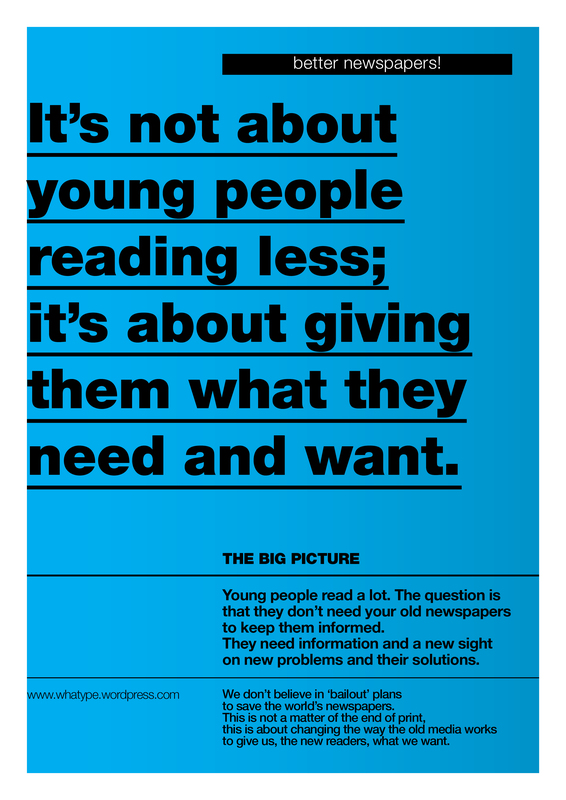 You can download the posters here, here, here and here.